Why didn't he shoot on film? Libatique is a master with film cameras. As most know, Libatique and Darren Aronofsky sort of broke through the mold together and have a close working relationship. His style has been something that has been on a lot of people's radar for a long time, ever since Pi came out and it became an underground cult sensation. Not his best work, but overall, imaginative, coherent, and the 16mm matched the gritty dark world that the protagonist lived in. Not to mention, the guy was still getting his feet wet. When Requiem for a Dream came out, everyone knew that Libatique was special and that he had undeniable skill with composition and exposure. Up until a few films ago, he had shot all of his professional features on film.The point being, he's a DP you can trust to make the right decisions… So why did he go with the RED Dragon then and not film. I think its safe to say that money wasn't an issue and that overall workflow, accessibility, and the strengths of the camera had something to do with it. Libatique's last two films he shot prior to Compton were shot on Arri Alexa's which are well known for being the perfect candidate for a DOP switching over to Digital from Film. 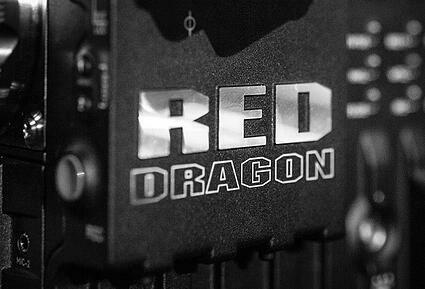 Why did he choose the RED Dragon over the Arri Alexa Plus? There has been a lot of debate over which camera performs better in low light scenarios. I have seen terrible low light footage from both cameras and I have seen great low light footage from both cameras so at the end of the day it's operator error. I will say that it seems we might have a qualified answer to this question if we pay attention. After viewing the film "Straight Outta Compton" and noticing all of the low light scenes in the recording studios lit with source lighting and all of the exterior night scenes, the powerful sensitivity of the Dragon sensor most likely had a part to play in the decision. Not only that, there is a lot of steadicam shots through out the film. The size and weight alone of the camera may have been a deciding factor as well. I know the RED dragon weighs significantly less than the Arri Alexa and with Libatique wanting to be behind the lens, it makes sense to go with a lighter option. Is it possible that he went with the RED because it had something to do with style? Of course, both cameras have very different internal design and as a result, the footage captured has a different look to a keen eye. Whatever the case, it's clear that he chose the RED Dragon over the Arri Alexa which is a favorite for a slew of veteran cinematographers. I think it proves some good points, that both cameras have their strong and weak points, both offer a different look from the other and that they are both equals. Not sure about which camera to go with for yout next video production? 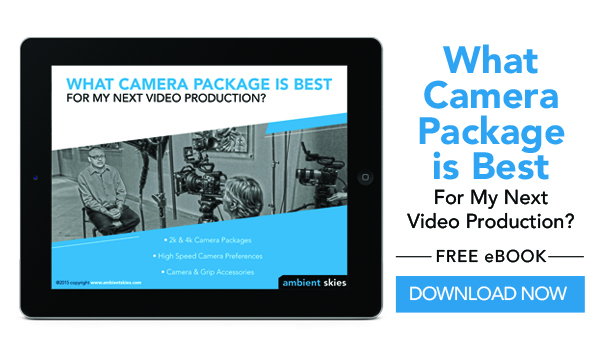 Take a few moments to download this ebook that helps break down, on a basic level, which cameras are best for different shooting scenarios.